Grammy's Attic: Let It Snow ! 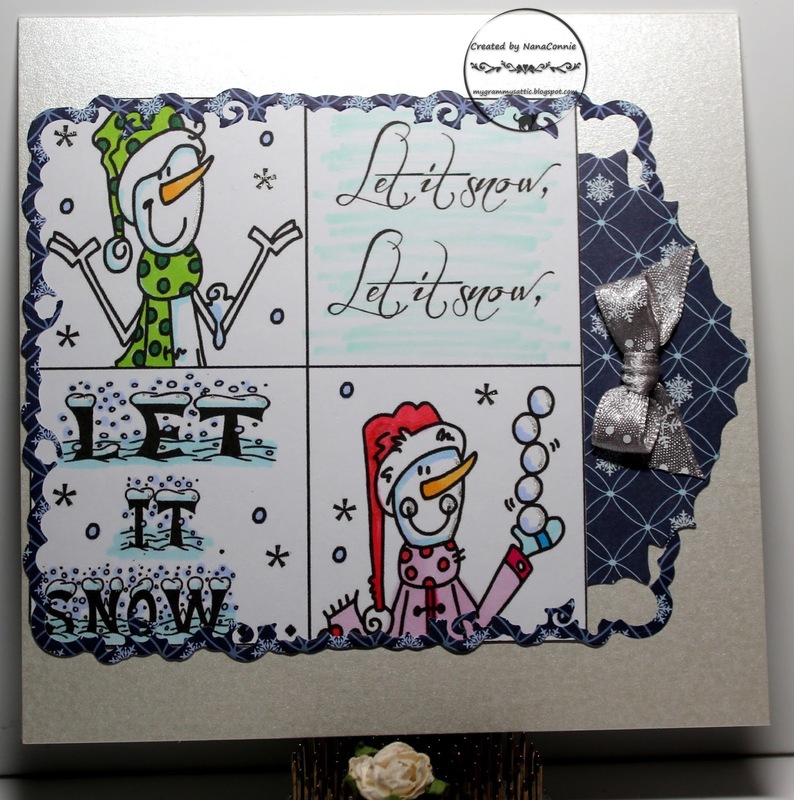 Adorable and fun let it snow card!! It's not nice to rub it in that you don't have to shovel snow!! We do!! That's not fair...where I live in WI, USA it is predicted to snow later today. Your card is adorable. Thanks for joining us at the Holiday Chaos 2017 Color Challenge, Lisa Lynn GDT. Very fun card! I love the repetitive use of this hilarious snowman. Great color choices too. Thanks for joining us at TIME OUT! This is so adorable!! The images are so cute!! I love the design!! Thank you so much for playing along at Scrapy Land!! Those white kittens are so beautiful!! I absolutely love the design of your card, especially all the die-cut edges and your colouring of the images is perfection. So glad you joined us at TIME OUT and Merry Christmas! !